I am Janae and welcome to JanaeSaisQuoi.com. I bet since you clicked on ABOUT you are curious as to how my personal style journey started! Well the journey began on one hot May afternoon. Summer was just rounding the corner and with it came long days. I wanted, better yet needed, something that would occupy my time. I began browsing through my daily dosage of fashion blogs when I stumbled upon “Ring My Bell”.I kept reading and reading and soon found myself archived way back into 2011. Then a bell went off in my head! I thought that it would be fun to start a fashion blog! My thought process was Oh! I love fashion and I have the free time. So ultimately I was feeling really encouraged and inspired to get my journey started! Every great blog starts off with a great name! This was the a big step! You are picking a name that seals your fate in the blogger world. No pressure! After an immense amount of deliberation I decided that JanaeSaisQuoi would be fitting. Some days passed and details were handled! Before I knew it, June 6th, 2013 had arrived and with it came the launch of JanaeSaisQuoi! Now that you have read about how exactly the JanaeSaisQuoi journey started here is a little about me! At the age of 11 I was adopted so I believe that second chances are a blessing! I try my best to live by the philosophy “Be inspired or Be Inspiring.” With that comes the drive to strive, achieve, and inspire to the best of my ability! I am currently a student in the midst of achieving my goal to become a fashion journalist. 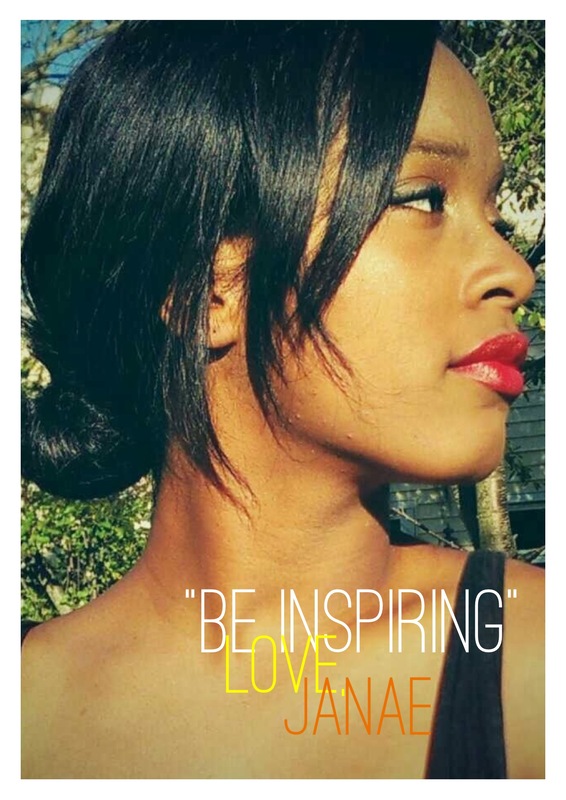 My goal is to use my creative voice to inspire those who need a spark of inspiration!